Our registration packages will be going home in the month of April. Grade 5 Registration forms will be delivered to Southwood and Elmdale on Friday, April 12th and will be due back on Friday, April 26th. SMS will pick up the completed registrations from the elementary schools. 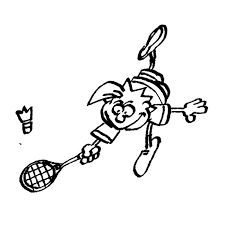 Grade 6 to 8 Registration forms will be sent home by the end of April and will be due back in May. 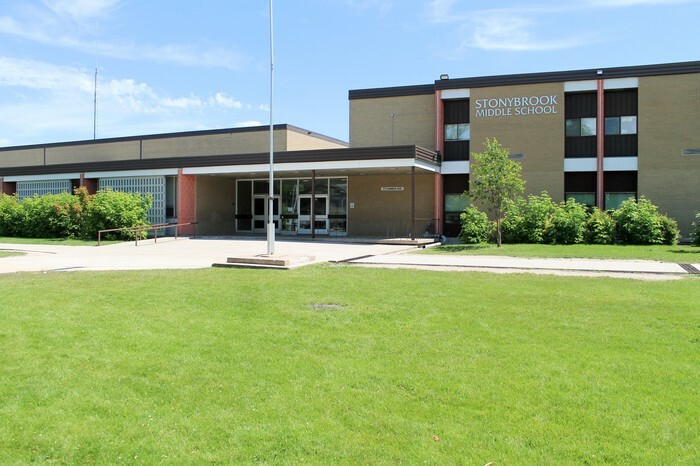 An Orientation Evening for Grade 4 students coming to Grade 5 will be held on Thursday, May 16th in the SMS Gym at 7:00 p.m. Students and Parents are invited to attend. And so are the puddles! We've had a few students needing to phone home or go home because they have fallen into puddles and need a change of clothes. 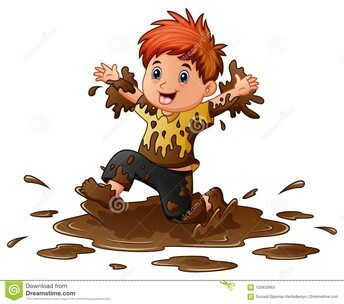 Please consider putting an extra pair of socks and pants into your child's backpack so in the event of a needed change, you will not have to interrupt your day by having to bring dry clothing to your child! We hope the puddles disappear quickly (but it does look better than the snow that was there)! 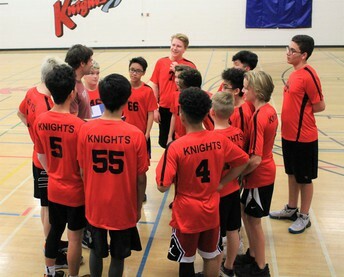 Practices have begun with Grade 7 and 8 students, and the students are looking forward to participating in the Round Robin Tournament on April 23rd and Finals on April 25th. Students are chosen to participate in the tournaments by how they do in their school-based play as only a limited number play for each school. SMS had an amazing basketball season! 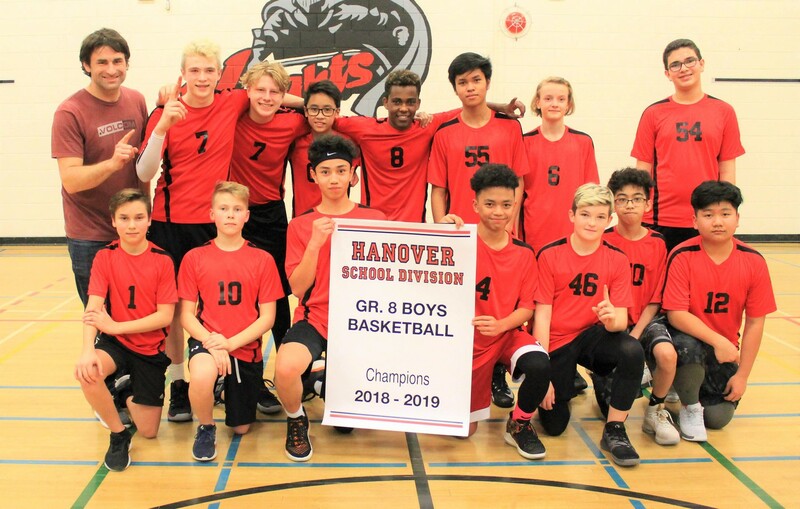 Our Grade 7 Boys and Girls enjoyed many wins, and the Grade 8 Basketball Championship games found both our Girls and Boys Teams playing for the Championship Banners. The Girls Team brought home the Championship Banner, playing against Landmark and winning with a nail-biter! The Boys played against Mitchell and also brought home the Championship Banner! 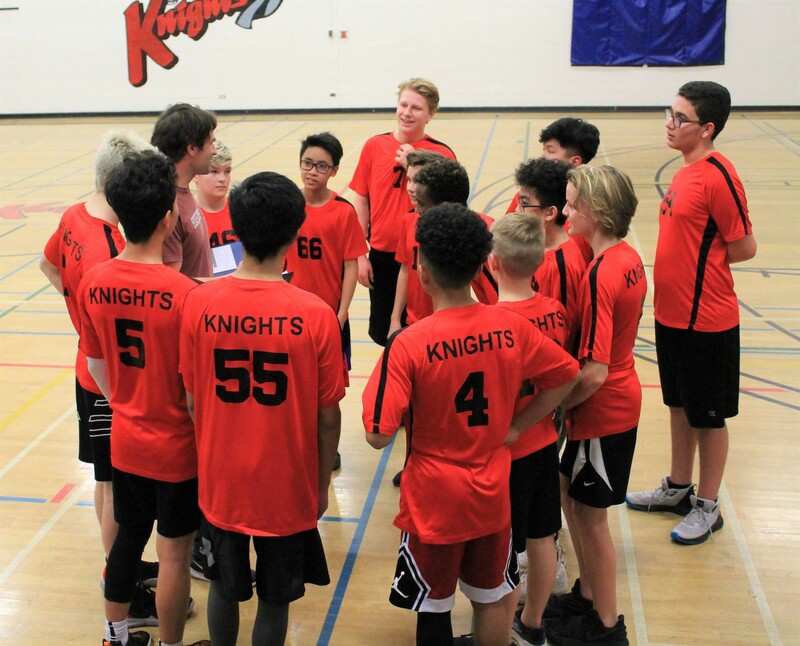 The Grade 8 Boys team were undefeated in the regular and play-off season! 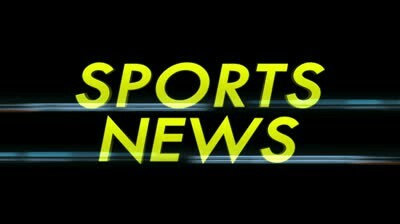 Mr. Glenn Hiebert also spent some after school time teaching some basketball skills to the Grade 5 and 6 boys, and Ms. Meagan Klassen worked with the Grade 5 and 6 girls. Grade 8 Boys - Champion Team! 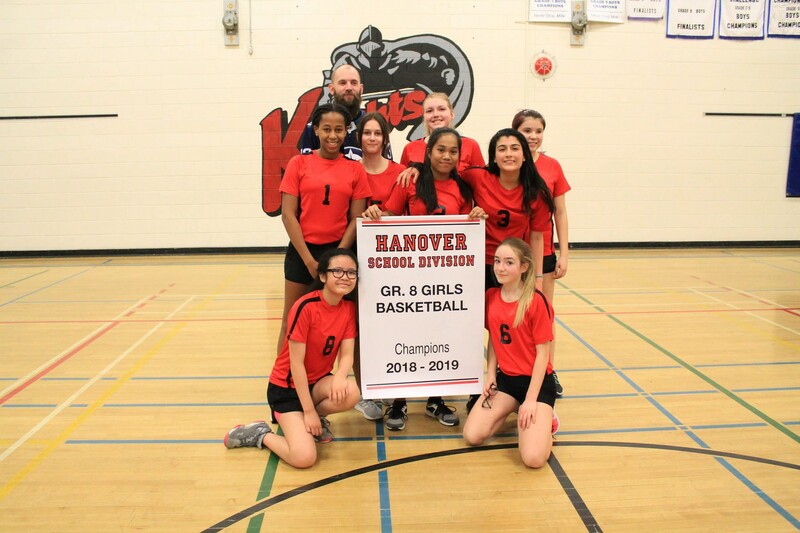 Grade 8 Girls - Champions! 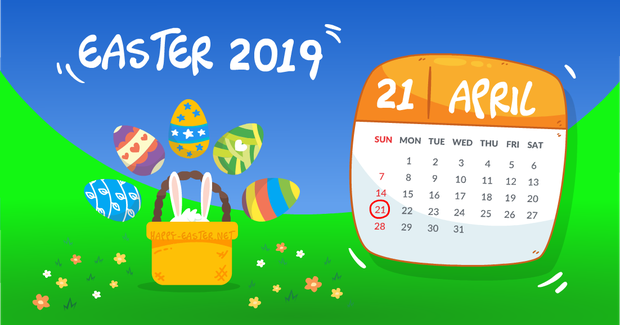 Take note of these important dates in May! Grade 5/6 Parents: Save the Date!! 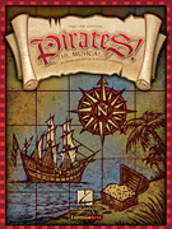 TWO PERFORMANCES: 2:00 P.M. and 7:00 P.M.
You haven't missed out yet! 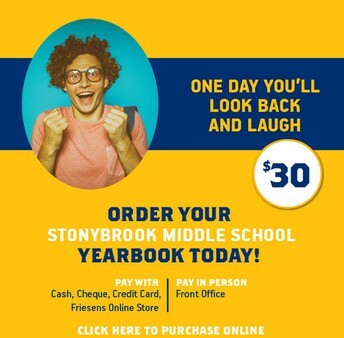 We still have some yearbooks available for sale, so if you have not yet purchased your yearbook you may still do so! 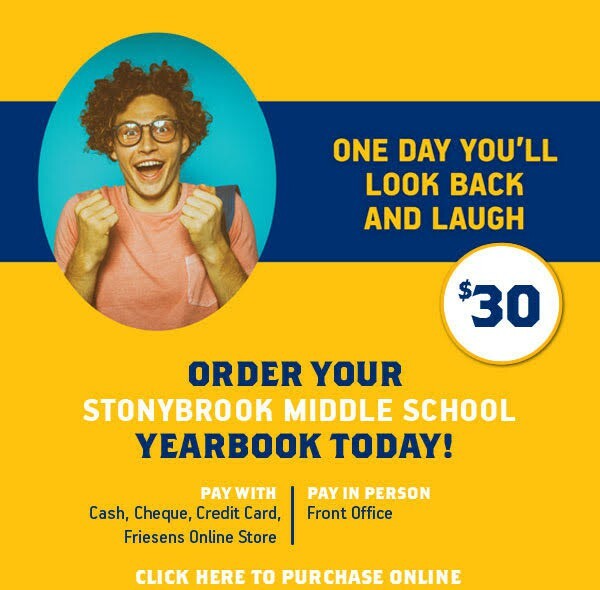 Yearbooks will be delivered to students in June. Congratulations to this month's Knight of the Month award winners! They have been selected by the teachers from their grade and are being recognized for going above and beyond in attitude and behavior. Thanks for your contribution to our school! 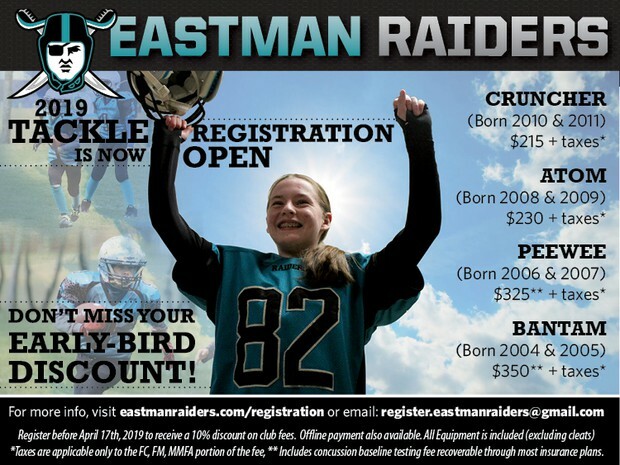 The Eastman Raiders Football Club is a non-profit organization helping youth living in South East Manitoba communities to remain physically active while also developing their leadership skills on and off the field. The web offers incredible possibilities as long as you are aware of the risks. By understanding what the online world offers, you can empower your child - with skills to help him/her engage with technology in a safe and responsible way. As your child gets older, you will notice changes in his/her behavior and interests. While it's exciting to see your child seek more independence, there are new personal and online safety concerns that you should be aware of as well. 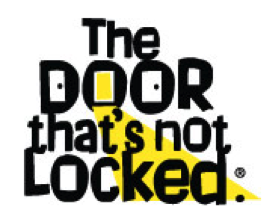 A good source of information regarding what you should talk to your child about, and what you can do as a parent, is the website, thedoorthatsnotlocked.ca. This information was provided to SMS from the Canadian Centre for Child Protection, a registered charity dedicated to the personal safety of all children. In its efforts to continue supporting parents and students, Manitoba Education and Advanced Learning has developed a new website that offers homework support to middle school years students. The My Learning at Home website, http://www.manitoba.ca/mylearningathome/, provides links to over 200 videos and animations that help to explain challenging concepts in the areas of Mathematics and Science. Selected specifically for Grades 5-8 students, each video and animation has been annotated and organized by grade level to correspond with the curriculum. Please take time to visit this website with your child. We hope that My Learning at Home proves to be a useful tool for middle years students as they work to succeed in school!